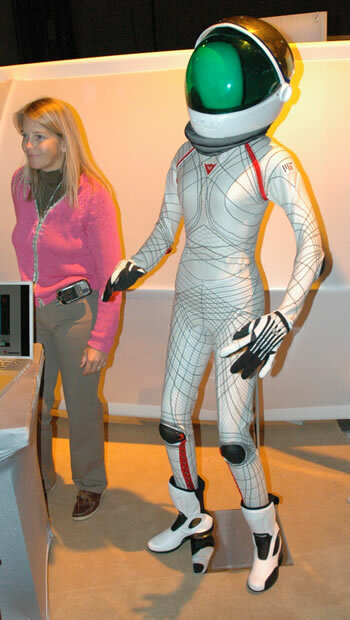 MIT engineers including Dava Newman are not giving up the dream of form-fitting spacesuits; here is their latest version. Researchers at MIT recently unveiled their latest iteration of the BioSuit. The latest garments are outfitted with springlike coils that activate when heated and pull the suit tight against the skin like shrink wrap. 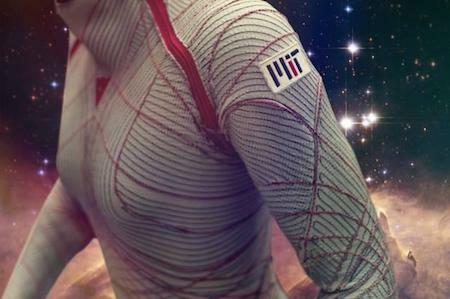 The MIT BioSuits won't just help astronauts show off their rock-hard abs, the suits will give them better range of motion. "With conventional spacesuits, you're essentially in a balloon of gas that's providing you with the necessary one-third of an atmosphere [of pressure,] to keep you alive in the vacuum of space," explained Dava Newman, a professor of astronautics and aeronautics at MIT. "We want to achieve that same pressurization, but through mechanical counter-pressure -- applying the pressure directly to the skin, thus avoiding the gas pressure altogether," Newman added. "We combine passive elastics with active materials. 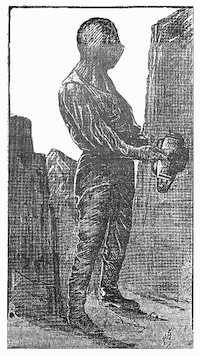 Ultimately, the big advantage is mobility, and a very lightweight suit for planetary exploration." Form-fitting spacesuits have long been considered by engineers at NASA, but until recently, one major hurdle prevented researchers from turning the idea into reality. How do you get astronauts safely and efficiently in and out of a super-tight suit? The answer is shape-memory alloys, materials that mimic shrink wrap when heated but that can be stretched back out with little force once cooled. After a number of experiments, MIT researchers found that the BioSuit worked best with nickel-titanium shape-memory alloys. Here is a picture that I took in 2006; engineers don't give up. Via UPI. See previous articles BioSuit Space Suit Vs. Tentacle Monsters (2006) and Video - Building A Better Space Suit (2012).